The TPP has thus become an economic instrument to help implement Washington’s “rebalancing to Asia” strategy, which brims with geo-political implications. Through the TPP, the US expects to regain control of rule making for global trade because it is wary of the growing influence of developing countries represented by China in such institutions as the G20, World Trade Organization and the Asia-Pacific Economic Cooperation. Fortunately, the TPP is only one of more than 260 free trade agreements in existence; it can’t be everything at the same time. An FTA among some economies leads to “trade creation” and “trade transfer”, but only “trade transfer” is detrimental to outsiders, for the economies reduce or eliminate trade barriers among themselves. So how much trade transfer will occur within TPP? Not much, because 80 percent of TPP members’ exports to the US are already duty free while a higher percentage of China’s manufactured goods enjoy the provision. Hence, by and large, the TPP tax change will mostly affect agricultural produce from the US, Japan, Canada and Australia. Therefore, the TPP is more of a psychological instrument used by the US to “cry wolf” and in all likelihood it will have little impact on China’s foreign trade next year. 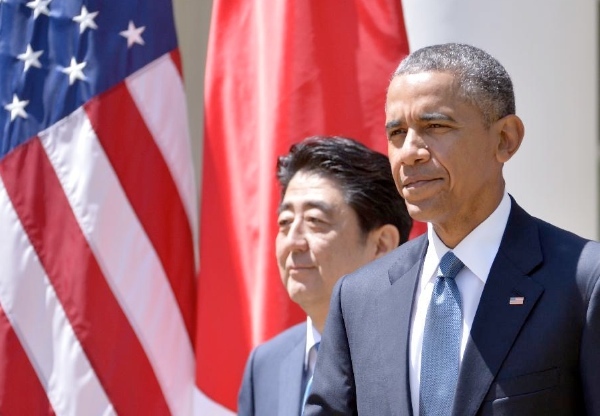 The TPP will mainly affect China’s medium-and long-term domestic economic policy reforms. As a regional FTA, the TPP puts more emphasis on “within border” policies and rules associated with trade, such as labor standards, environmental protection, IPR protection and State-owned enterprises, than “on border” trade barriers. This article first appeared in the website China-US Focus. More importantly, I believe, the TPP (and similar instruments) erode national sovereignties and bestow increasing legal primacy to trans-national corporations. We should not lose sight of the forest for the trees. Global corporatism (or fascism, if one prefers) is the current geo-political world order under which the world’s diminished working classes are subjugated. The BRICs have an opportunity to rebuild the worlds working class consumption balance in this era of Corporatist stagflation, and appear forward looking in this regard to their sovereign wealth reserve management. They do understand that “sound money” enables a moral world order as compared to the widespread misallocation of fiat wealth today. It is the egregious misallocation of “wealth by decree” which breeds the fraudulent and immoral practices which the 1% have gripped our collective world with. The TPP is meaningless,because as the article mentions Zhongguo and Bharat already have FTA’s with TPP members. It is easy enough to route goods through a third party country if needed. Instead of attempting to meet TPP standards focusing on our own FTA’s like RCEP and the like to create our own rules on how trade should be conducted is preferable. We are already the world’s largest economies, there is no need to play by the Western rulebook written to benefit themselves. as a Malaysian citizen , tpp is not preferable to me because of the competition we need to face. I afraid Malaysian people cannot compete with other country. He Yafei is vice-minister of the Overseas Chinese Affairs Office of the State Council, and former vice-minister of the Chinese Ministry of Foreign Affairs.